Digging back through the '90s has been so fun, I can't stop. 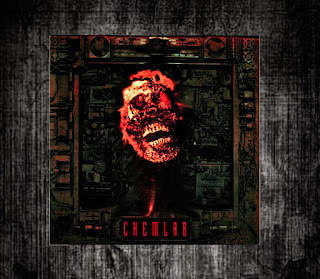 The first time I saw Chemlab, they were the first opening band, I'd never heard of them, and the singer came out wearing tin foil over his face. I bought everything I could find - which was only this album and an earlier EP - the next day. It still sounds good to my ears. It's the kind of thing that would fit right in if there were a bar scene in Blade Runner. Thank you. You should come see us in the Autumn. Drop me a note on Farcebook.